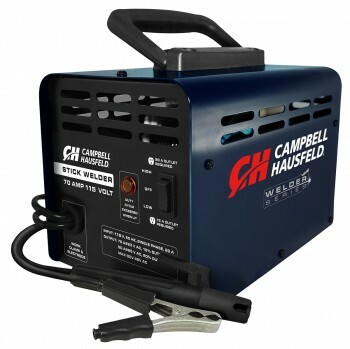 The Campbell Hausfeld Stick Welder is easy to use and portable, designed for home or shop applications. It runs on standard 115-volt power and comes equipped with ground clamp and starter pack of electrodes. Take it anywhere with a durable metal case and comfort fit handle.